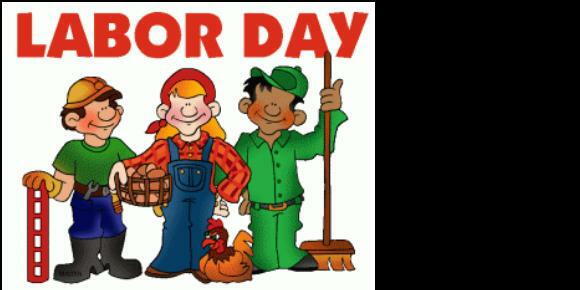 Labor Day celebrates out industrial workers. Treat common injures! I thought you might like to know a little more about Labor Day. According to the Department of Labor, the first Labor Day holiday was celebrated on Tuesday, September 5, 1882, in New York City, in accordance with the plans of the Central Labor Union. In 1884, the first Monday of September was proposed, and the Central Labor Union urged similar organizations to follow the example of New York and celebrate a “workingmen’s holiday” on that day. The idea spread across the country, and in June of 1894, Congress passed an act making the first Monday in September a legal holiday. Hats off to all the “workingmen” of this great country! The Physical Costs of Labor. Whether you stand all day in an assembly line, lift boxes to organize them off of the belt, or participate in other “labors,” a common response of your body from these often repetitive activities is pain. Pipe fitters and plumbers frequently are diagnosed with Carpal Tunnel Syndome from the repetitive twisting activities. Carpenters, siders and roofers can develop Rotator Cuff injuries in their shoulders from the continued high overhead loads. How about the low back of the floor installer? Bend much? How do you treat these issues when these are activities you need for your job? Are you wondering how long you may last in your industry? Well, if you have read this blog for any period of time, you will know there is always Good News! Reverse your care to continue your labor. To assist a large tire company with their costs associated with injured workers, two physical therapists in FL developed a system. Since the majority of laborers are otherwise healthy, they hypothesized that instead of delaying healing by getting unnecessary scans, drugs and injections, the workers would first be seen by a specialist in Mechanical Diagnosis and Therapy (MDT). Usually these providers were physical therapists instead of doctors. They found that their workers got better, faster, and subsequently saved the company many many zeros on their bottom line! All laborers in MN or WI call 651-800-MYPT for your MDT mobile or telehealth evaluation today! Outside of these states: go to www/mckenzieinstituteusa.org/findaprovider today!